Google just updated its European maps section heavily, loading a fresh batch of detailed data for more obscure countries, and improving on what it had for the big ones, including indoor navigation for Germany. 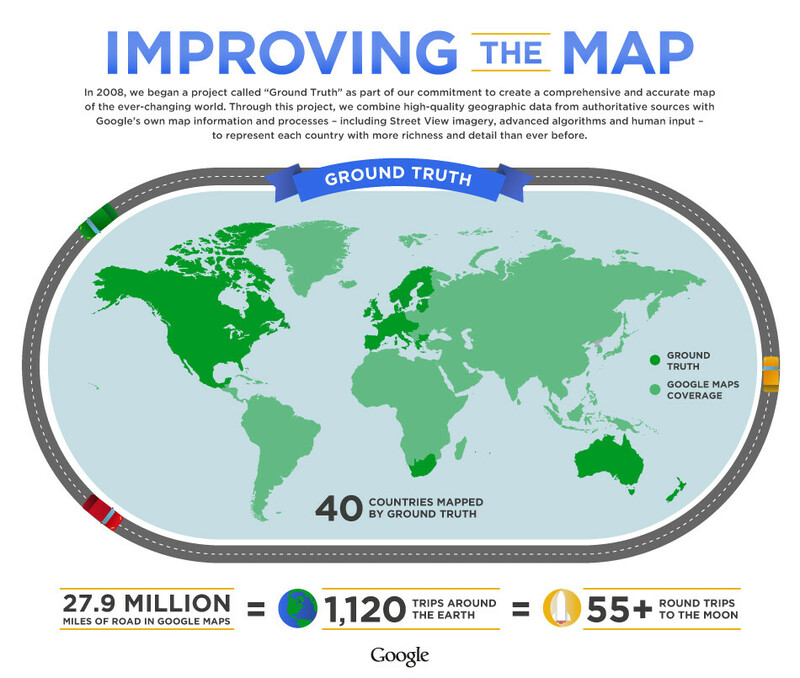 Part of the Ground Truth project, the mapping initiative started in 2008, and aims to give people the most detailed and up-to-date experience possible. Knowing how Google collects data, with a fleet of cars cruising your city's back alleys, this is not far from what Google actually delivers, but the search giant doesn't stop there. ...roads and highways alone don’t define the character of a place, and they aren’t always sufficient to help you get around. So Google Maps also integrates information such as walking paths, ferry lines, building outlines, park boundaries, university campuses and more—providing a richer, more comprehensive and more realistic experience for locals, visitors and armchair travelers alike. Spain, Andorra, Bulgaria, Gibraltar, Hungary, Estonia, Latvia, Lithuania, Slovenia, and Slovakia are the new countries added to the Ground Truth project, and Google even bragged in its blog post that it has added all the length of the brand new Trakiya highway section in Bulgaria, for instance, which is so fresh that it is not reflected yet by other services. Thats great, can see 3d maps now here in Slovenia. OMG, I Have a friend from Bulgaria, This is the second Bulgarian News I heard today, cool!!!! Google is making it to the Headlines Everyday.. probably the best time in Google's history.. It's hard to believe how young Google is as a company. It was founded in September 1998. I can't wait to see what the next few years hold! Am I the only one that is Bulgarian in here? So, how do Nokia's satnav and mapping coverage compare? Anyone know?